Murphy Davis’ tireless advocacy on behalf of the 3,392 Americans on death row and hundreds of homeless on the streets of Atlanta has ensured that these two groups are not shoved deep into the shadows of America’s consciousness and robbed of their dignity, but are seen as individuals. She has challenged conventional thinking about the death penalty and homelessness and given hope to those living on the streets of Atlanta and on Georgia’s death row. Murphy Davis grew up as the daughter of a progressive Presbyterian minister in politically conservative Louisiana and eastern North Carolina. Civil rights work and an early exposure to people from all over the world, who visited her family through the Presbytery, opened to her a larger, more complicated world. In 1976, Murphy found the Ph.D. program in religious history at Emory University that she was enrolled in to be too removed from the human and civil rights struggles of the 1970’s. That year, when the Georgia Supreme Court upheld the state’s death penalty law, she left school and joined the full time effort to overturn this law. Without salary, Murphy began coordinating a national anti—death penalty campaign bringing together the American Civil Liberties Union, Amnesty International, state coalitions, and religious groups. In that same year, there were 65 men and one woman on Georgia’s death row with no organized effort to address their needs and fight for their rights. Murphy put together a local, grassroots anti-death penalty movement and started meeting with the mothers of inmates on Georgia’s death row. “It was the mothers that gave me the certainty that this was something I had to do,” she says. She began making weekly visits to inmates scheduled for execution to hear their stories, provide support and counseling, and “be a presence of hope for people who’ve given up hope.” One of her greatest challenges is “keeping on, when you know you can’t make it better,” learning to “savor the victories very deliberately because they have to last a long time.” By 1998, the number of people on death row in Georgia had climbed to 115, and as Murphy says, in the current legal and political climate, this number will continue to grow. Through Murphy’s work on the death penalty, she became aware of another societal epidemic. “Nobody was paying attention to homelessness in the 70’s,” Murphy says. She and her husband, Ed Loring, and a handful of other activists began working to raise awareness of the problem, and, in 1979, helped create Atlanta’s first overnight homeless shelter. In an effort to work more closely on the related issues of homelessness, poverty, class, and racial segregation, Murphy and Ed and another couple founded, in 1981, the Open Door community, a 60-room apartment building purchased with the Atlanta Presbytery for housing the homeless. Murphy, her husband, and daughter live at Open Door in the same capacity as everyone else. Open Door is a truly cross-class, inter-racial environment with a balance of temporary residents and permanent “partners” committed to homeless advocacy and maintaining the Open Door’s communal way of life. 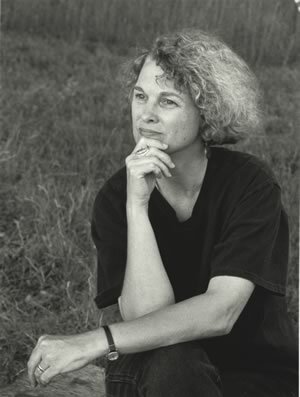 In 1995, Murphy’s oath of solidarity with the homeless and the poor was put to the test when she was diagnosed with an often fatal form of cancer. Having given up health insurance, savings, and salary in order to live as a peer in the Open Door Community, the only medical care available to Murphy was that available to the homeless at Grady Public Hospital in Atlanta. “This made our decision to take on this kind of life very real,” Murphy says. But after going through major surgery and chemo-therapy, Murphy’s cancer went into remission. In early 1998, Murphy returned to the hospital and was told she had been cured. “I was given the opportunity to live out a level of solidarity I might not have taken had I known I would be faced with this,” she says. “Solidarity has become one of the greatest gifts in my life. Many middle class people who have given up the luxuries of middle class life often struggle with the possibility of going back and living the life of ease. I don’t struggle with that anymore, and it’s a gift. I believe freedom comes at the point we discover what we have to do,” Murphy Davis says. The freedom she has discovered is not just her own, but that of the many prisoners and homeless people whose lives she has freed of anonymity, whose stories she has listened to and shared, and whose plights she has refused to let be ignored.